The second summit is coming. There are 2.4 million Latinos in New York City, according to the city’s Department of City Planning (DCP). Next month, a conference focused on the needs and concerns of nearly a third of the city’s population is reconvening for a second year. 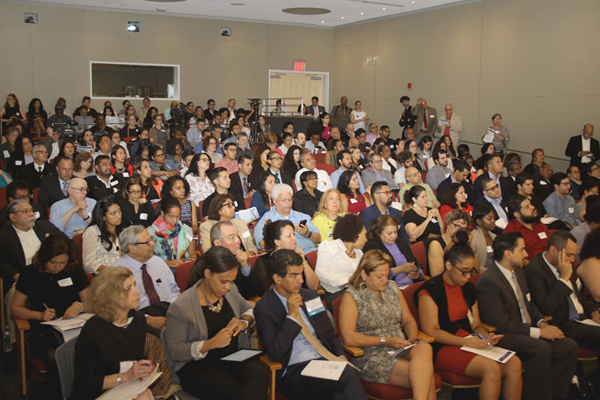 The annual Summit on Latinos will be held on June 1st and will be hosted again at Hunter College’s Silberman School of Social Work. The event is sponsored by the City University of New York’s Dominican Studies Institute (CUNY DSI), the Center for Puerto Rican Studies (Centro), and the Jaime Lucero Mexican Studies Institute, together with the New York City Council and Hispanic Federation. Last year marked the debut of the day-long conference, which brought together individuals from the academic spheres, community-based organizations and city government to examine issues facing Latinos, including immigration, civil rights, political engagement, criminal justice and education.